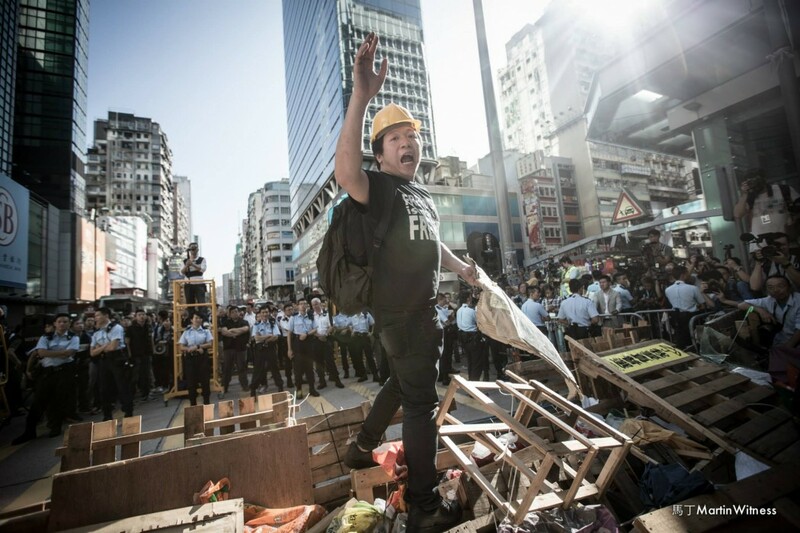 The legal status of the Occupy movement in Hong Kong has a curious history. Before September 28, 2014 the official line was that, as Chief Executive Leung Chun-ying put it, the protest would be “neither peaceful nor legal.” The secretary for security urged potential participants to consider their “personal safety and legal liability.” The commissioner of police said that “any collective attempt to hold up traffic unlawfully” would not be tolerated. After the tear gas extravaganza on the night of September 28, spontaneous non-Central occupations sprung up in several other places. Violent repression as a strategy was then discarded. The commissioner of police was muzzled; other top officials disappeared from view. Occupations continued for three months, during which the legal scene was tranquil. The Mong Kok occupation was finally cleared at the end of November, at the behest of a rather unlikely paladin of legality, the minibus owners’ club. On December 3, 75 people who had at various times been involved in organising Occupy turned up at a police station and confessed. They were not arrested or indeed charged. Other Occupy sites were cleared later in the month and most of the occupiers went back to their day jobs. Occupy Mong Kok. Photo: Martin Witness. The commissioner of police emerged from the teapot to say that 950 people had been arrested during the occupation, but as the cases emerged it became clear that they had been involved in scuffles of one kind or another. Actually occupying as such had not been treated as an offence. This seems to have come as a surprise to the organisers, who had expressed willingness to be prosecuted for unlawful assembly. It is an offence in Hong Kong for more than three people to meet without the permission of the police. 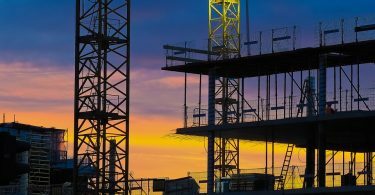 A charge of obstruction under the Summary Offences Ordinance was also considered a possibility. 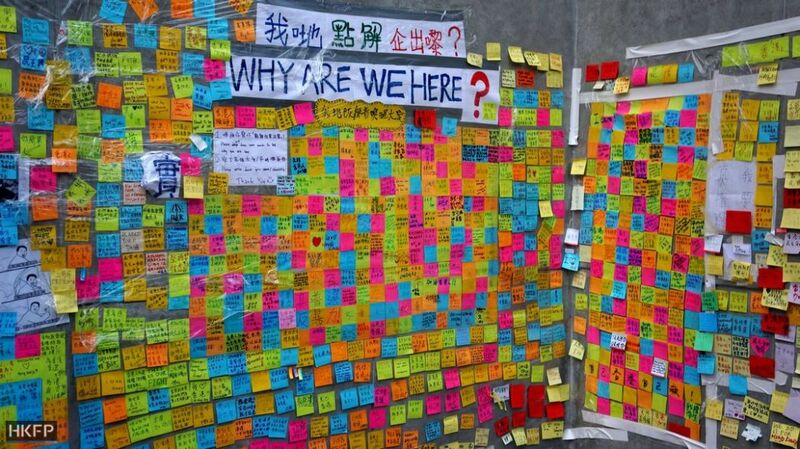 “Lennon Wall” at the Occupy sites in Admiralty. File Photo: HKFP/Tom Grundy. But for more than two years… nothing. This could be considered controversial in itself. Someone who is to be charged with a criminal offence is entitled to know in reasonable time what it is. He or she may wish to organise witnesses, collect evidence, go over his own recollections. If you are charged with an offence and it doesn’t come to trial for two years that is bad enough. If you have to wait two years to discover what the alleged offence actually is then that is even worse. I do not know why it took the government so long to get round to the idea that organisers as such should be prosecuted. To wait so long and then wheel out an unexpected medieval relic charge, abandoned in other jurisdictions, may look legal but is it fair? The rule of law requires more than an indiscriminate and selective prosecution of people the government disapproves of, using whatever legal pretext comes to hand. It will be interesting to see what comes of “causing public nuisance” as an offence in this context. Public nuisance is, at least to the lay person, a slippery concept. If you live in Happy Valley, a race meeting may be a public nuisance. People ringing you up and asking you to participate in surveys may be a public nuisance. People double parking in Central are indisputably a public nuisance, but all they get is a cheap ticket. Occupy leaders charged with public nuisance. 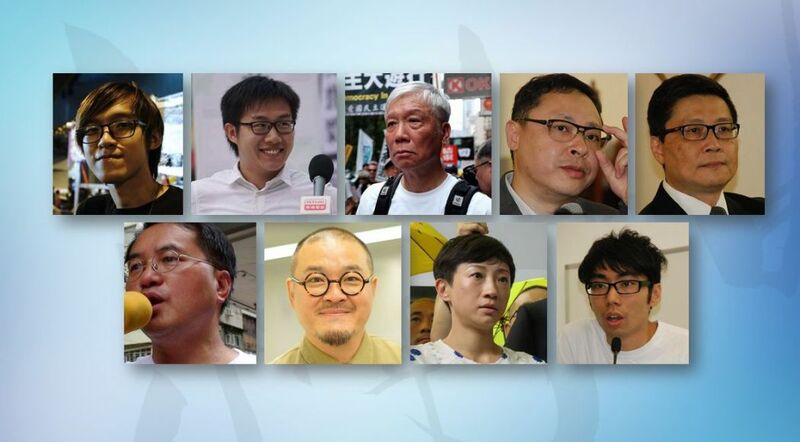 Top row from left: Tommy Cheung, Raphael Wong, Chu Yiu-ming, Benny Tai, Chan Kin-man; Bottom row: Lee Wing-tat, Shiu Ka-chun, Tanya Chan, Eason Chung. Some people certainly did not think Occupy was a nuisance at all. Two of my friends who work in Central thought the travel problems were more than compensated by the resulting clean air. Indeed we may wonder why, if the occupations were a serious public nuisance, the government did nothing about them for three months, leaving the eventual evictions to the private efforts of public transport interests. Then we have the prospect of some people being charged with “conspiracy”. This is difficult to understand, under the circumstances. Conspiracy is a useful concept if the miscreant is prevented from committing the fell deed he intended. If a protester is found in the basement of LegCo the night before a meeting with a pile of barrels of gunpowder we do not exonerate him on the grounds that he did not actually succeed in blowing the place up. But we cannot charge him with mass murder either. A charge of conspiracy catches the murderous but unfulfilled intention. However in the case of Occupy the gunpowder did, as it were, explode. Central was occupied, so those who conspired to do it can presumably be charged with the actual deed. No doubt all will become clearer when the cases come to trial. 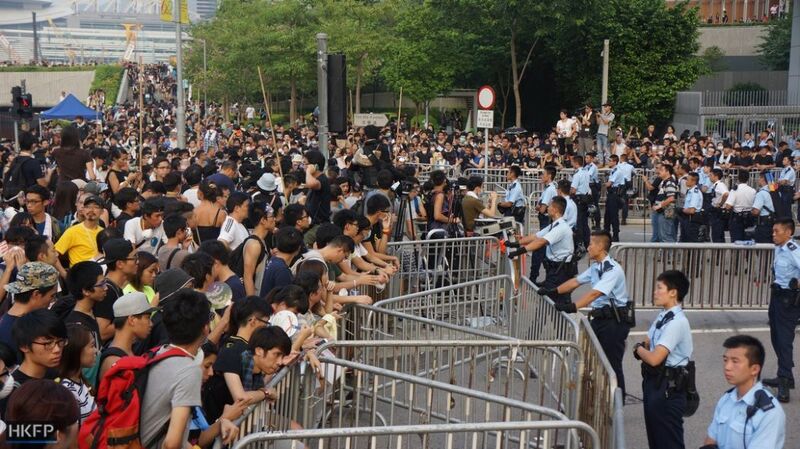 Stand off between police and Occupy protests in Admiralty. File photo: HKFP/Tom Grundy. In the meantime, we can note the further erosion of the rule of law as it is supposed to apply to the media. It is a serious offence, known technically as strict liability contempt, to write anything, once someone has been charged, which implies the innocence or guilt of the accused. This is particularly important when there is a possibility of trial by jury. The law assumes that judges do not read newspapers, but naturally future jurors do not yet know the fate that is in store for them. The first quote is from Alex Lo and the second from Michael Chugani. Both were published in the SCMPost. God knows what has been going on in the Chinese press. But I have a pretty good idea what has been going on about this matter in the Department of (ahem) Justice. Nothing. Hong Kong's Occupy protests as a public nuisance... It took two years to notice this?